The first trailer has been released for Tomas Alfredson's [Let the Right One in] Tinker Tailor Soldier Spy. 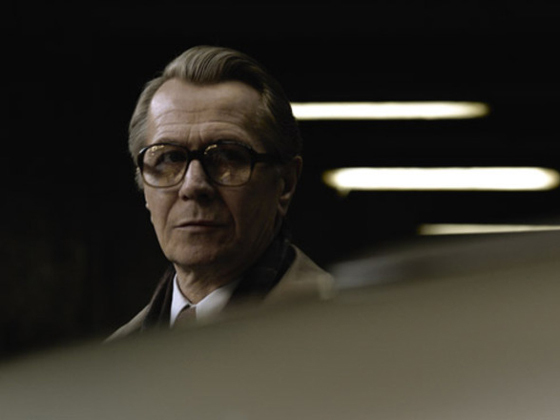 Based on John Le Carre‘s Cold War novel, the story follows a retired MI6 agent [Gary Oldman] who is called back in to oust a Soviet mole hiding who has infiltrated MI6. The cast for the film is outstanding and includes Colin Firth, Tom Hardy, Mark Strong, Benedict Cumberbatch, Ciaran Hinds, Svetlana Khodchenko, Toby Jones, John Hurt, Stephen Graham & Kathy Burke. Tinker Tailor Soldier Spy hits theaters September 16th in Europe & November 18th in the U.S. Hit the jump tot check out the trailer. I'm reading: The International Trailer for 'TINKER TAILOR SOLDIER SPY' Arrives Starring GARY OLDMAN & TOM HARDYTweet this!